During my time at RightShift, I worked on many projects. 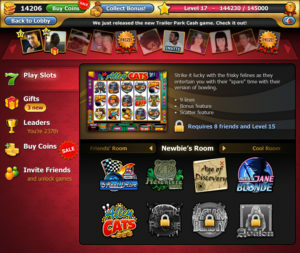 One of them was Clickfun Casino – a freemium slots game on Facebook. A small fraction of the work that I did on this product is displayed here. Some aspects of these designs incorporate illustrations created by other artists. 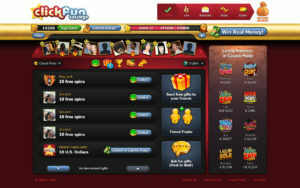 I created most of the user interface for Clickfun Casino. My work here was ongoing as we continued to evolve and grow the product and new features needed to be designed and worked into the interface. 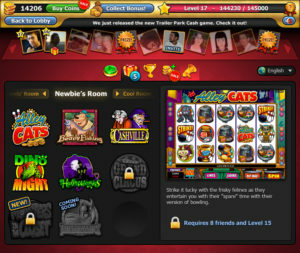 An early layout of the main screen. Adding new features to the UI post release. 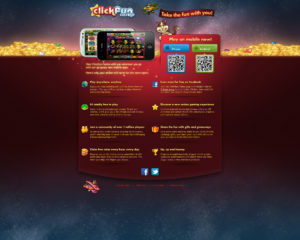 When we released the mobile version of Clickfun Casino, I created a promotional page for it. 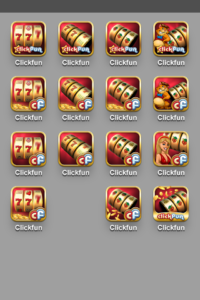 We took special care when creating the icon for the mobile version of Clickfun Casino. I made several different designs and tweaked them based on feedback until we nailed down just the right look. 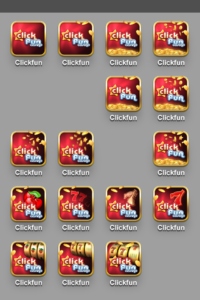 Second batch of icon designs.